CALIDUS TMS handles the variables of transport orders for tankers including bulk liquid, multi component and dry bulk carrier fleet operations. CALIDUS TMS helps companies balance special cargo needs including cleaning requirements and load specific assets such as pumps and pipes, to co-ordinate the requisite processes, and resources, to ensure a cargo is legally compliant and is following requisite preparation processes. With comprehensive transport order capture, planning, scheduling and trip execution, CALIDUS TMS also offers additional capabilities for tanker operators. 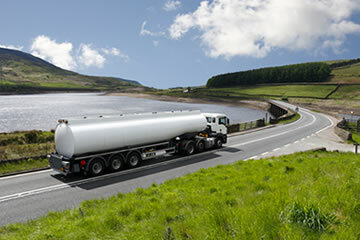 Tanker type – volume, weight, compartment tanks, heating, loading and discharging mechanism, tank lining, baffled, lids. Product types - preferred capacity measures as litres or weights, hazardous classes, state (liquid, gas or vapour, dust, solid), handling requirements, loading and discharging method. Product compatibility and incompatibility by type, hazards, taint and what vehicles / trailers support what products - Gas, Petroleum, Chemicals, Food etc. Define tank preparation, purging and cleaning requirements after each load. Capture transport orders and plan capacity by litres in addition, or alternative to, weight, footprint, volume and pallet equivalent. Suggest compatible vehicle / trailer type based on product and select requirement. Plan orders to compartments and ensure multi-drop loads are segregated by drop and compartment compatibility. Validate driver training and certificates against product types at driver allocation to loads. Generate loading plan by compartment showing orders, product types, amount and capacity and any special handling requirements. 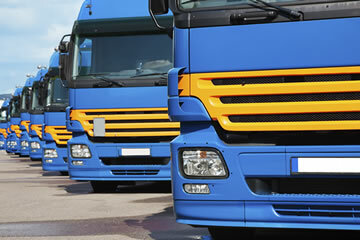 Generate detailed transport manifests with breakdown of vehicle / trailer compartments in addition to details of driver, routing, timings, order references and customers. Scheduled clean outs - maintain records of purging of vehicle / trailer / tank and link to vehicle / trailer allocation to plan. Schedule of Maintenance and Repair to include tank testing, loading and discharge equipment condition additional to MOT and service.